The Emancipation and Independence holidays are now retreating in our rear view mirrors, as we look forward to getting through what is left of our dusty, drought-ridden summer. I have the feeling always that the approach to both these holidays – the thinking behind them – gets recycled in a slightly different form, every year. “Emancipate yourself from mental slavery,” while relevant as ever if you think about it more deeply, has become a hackneyed phrase. It is a pity that a powerful quote from Marcus Garvey, relayed via Bob Marley in one of his most popular songs, should have become a cliché. The sad thing about clichés is that repetition breeds contempt; people don’t think about the true meaning of what they are saying, any more. 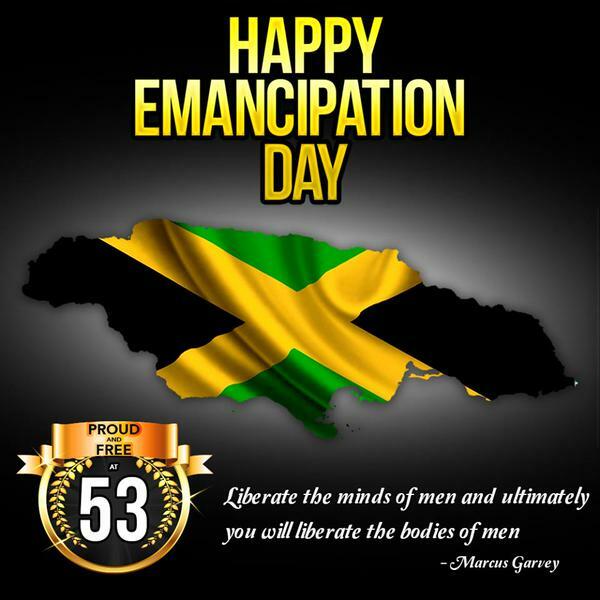 We bring out Garvey quotes once or twice a year on public holidays, all wrapped up in shiny black, green and gold paper. Yet Garvey’s writings and philosophies are still not taught in schools. 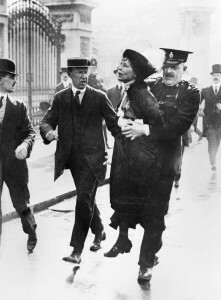 Mrs. Emmeline Pankhurst, leader of the women’s suffragette movement, is arrested outside Buckingham Palace while trying to present a petition to King George V in May, 1914. Freedom or death. 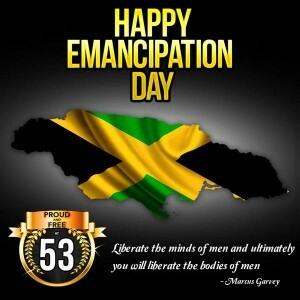 Emancipation is one of those uncompromising words that means everything. You cannot be half-emancipated; you are either free or enslaved. As human trafficking (a euphemism for slavery in today’s world) spreads its global tentacles, we realize we have a long way to go. In Jamaica, we seem a little half-hearted; we are not sure that we have made any progress; to some extent, I sense, we are not really grasping the issue with enough vigor and determination. There have been very few human trafficking convictions. We still seem to confuse human trafficking with smuggling; no, it is not about large numbers of people in boats being shipped around. Although we have made arrests and there is a task force, and public education efforts were made, it all seems to have dropped into a hole. Despite Jamaica’s history, its government and citizens are not seized with the issue. This year’s Independence Day rhymes nicely, but there are questions. Does independence necessarily equate to freedom? Independence, on the other hand, does not necessarily mean freedom, at all. It is debatable whether Singapore’s independence fifty years ago meant true political freedom. For a colony seeking liberation from its rulers, independence is a historic event, but thereafter it remains our condition, our state of being, as a nation. This is why we continuously analyze and nag at the question every year: Are we really independent? What do we mean by it? What does independence mean for an individual, though? As a young woman, I gained a modicum of independence when I went away to university at age nineteen, although half way through each term I was missing my mother’s cooking terribly. These days, it’s harder for young people to gain their independence than in the past, when the divisions or chapters in one’s early life were more clearly defined. Many middle-class Jamaicans, recent graduates and so on, still live with their parents. Independence these days is more than ever to do with simple economics. 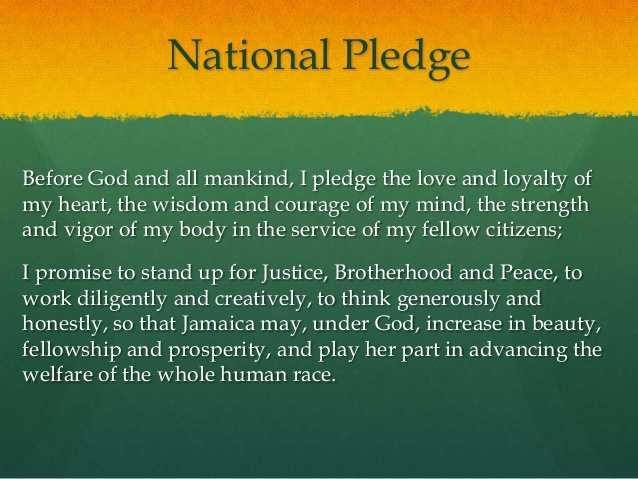 Jamaica’s National Pledge is beautiful, but reciting poems and songs doth not an independent person make. I think it is the element of self-awareness that has to go along with independence of thought that is most challenging for many of us. Just as a nation must have a strong, true sense of its own identity, so individuals – especially our young people – must develop a sense of who they are, not what others want them to be. This is not necessarily something they will learn in school, no matter how many times they recite the National Pledge or sing the school song. It is not about reciting a poem or a mathematical rule in unison.It is not about going along with the crowd, but quite the opposite. Becoming an independent person in thought, belief, desire and will is a deliberate process that all young people must undergo. This is why education that includes critical thinking – putting your hand up to ask a question, or to contribute a thought – is essential in the modern age. 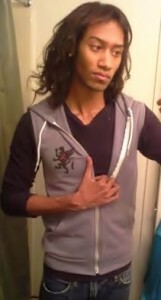 Who wants to fade into the background, still quietly copying down someone else’s thoughts? “Don’t let the noise of others’ opinions drown out your own inner voice,” said Steve Jobs in his famous commencement speech at Stamford University. Young people must find their essence – their core being. Educators, parents, friends, family must help them along the way, as well as inspirational figures like Jobs, Nelson Mandela and many others who have gone before. Young people must seek out those mentors, those teachers, or their souls are lost. Are we free? Are we independent? Or do we still cling to the things that enslaved, imprisoned and reined us in? Sometimes it’s more comfortable to live with those things; to settle down within those limitations. So, let our youth grow up strong, independent – and loved.